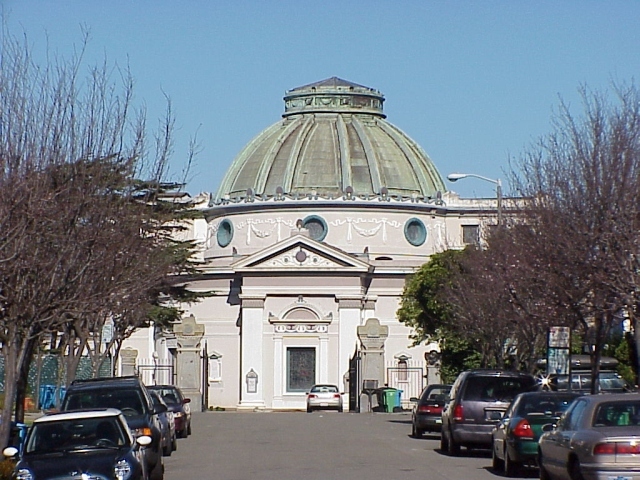 The Columbarium is at the end of half-block-long Lorraine Court, off Anza Street in San Francisco. 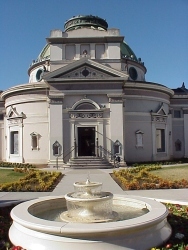 It was originally part of the Odd Fellows cemetary at Lone Mountain; now it is run by the Neptune Society. The address on the mailbox reads "NO. ONE LORRAINE".